Our Syracuse tractor trailer and truck accident lawyers know that proving a truck or tractor trailer driver’s negligence in causing an accident is more complex and involved than proving the negligence of a car operator in causing the accident. To many, this seems odd because the rules of the road are the same for both trucks and cars. For example if a tractor trailer operator runs a stop sign or a red light and causes a collision, he is just as liable as a car operator for doing the same thing. Both have a duty to stop at the red light or stop sign. Nevertheless, proving your truck accident case is usually more complex because ADDITIONAL rules apply to tractor trailers that DO NOT apply to cars. Tractor trailer and truck accident lawyers representing Syracuse area victims need to have a working knowledge not only of New York State’s Vehicle & Traffic Law, but also of federal and state laws that apply to commercial truck drivers. These laws will likely play a critical role in resolving your truck or tractor trailer accident case whereas they have no application at all to mere car accident cases. Whether the driver received the required number of hours and type of training required to ensure safe operation of the vehicle. There are other differences between car accident cases and trucking accident cases, too. For example, tractor trailers and trucks require far greater stopping time, especially when they are carrying heavy loads. Even if the car is at fault for having run a stop sign or red light, it is possible for a skilled truck or tractor trailer accident lawyer to prove that it was ALSO, at least in part, the truck driver’s fault for having failed to apply his brakes on time. Another difference between proving a car accident and a truck accident case is that commercial truck cases are far better documented. A skilled attorney knows how to ask for – and get – all the relevant records and documents from the trucking company, including records showing exactly when the driver departed, what if any deliveries he made on route, when he made those deliveries, what his average speed was for the trip, etc. Further, the tractor’s or truck’s “black box” will contain even more important and sometimes crucial information regarding what the driver was doing in the moments before and during the collision. 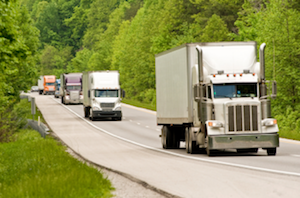 When a vehicle accident involves a commercial truck, the results are often catastrophic. Many victims suffer serious injuries or die at the scene after being crushed during the impact. The horrific outcome of a truck accident is often the result of a significantly heavier vehicle colliding with a small passenger vehicle or pedestrian. Other times, the incident produces a horrific event when flammable and hazardous materials are involved. 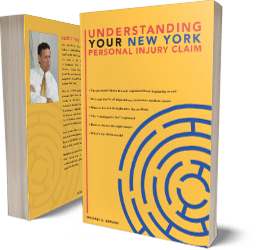 So to get back to the original question, “how do I prove my New York truck accident case”, the answer is: (1) hire New York tractor trailer and truck accident lawyers in the Syracuse area or elsewhere in New York State who know how to bring and prove these kinds of claims; (2) be sure those lawyers investigate not only the usual “rules of the road” violations, but also the specific rules and regulations regarding commercial trucks and tractor trailers; (3) be sure those lawyers know how to obtain all the documentation regarding the delivery trip in question, including the “black box” data. Our team of Syracuse tractor trailer and truck accident attorneys has had many years of experience representing truck accident victims. Do not hesitate to contact us for a free consultation.